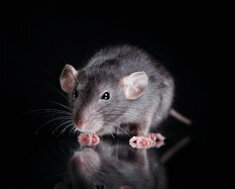 Are you having problems with pest control and need a prevention service for your premises within Milton Keynes? Look no further, DMC's Pest Control Services will have the best solution to help solve your problem. If you are looking for insect control, bird control, rodent control or any other service we can help find you the best prevention. Having a pest problem can be stressful and disruptive, that’s why we will work with you to find a prevention and not just get rid of the problem. We will help you to find a solution that will work with you and your business rather than using any approaches that could be unsuitable. At DMC we like to be as environment friendly as possible, we like to use non-toxic treatments but if required we wish to use them for a minimal period of time. Surprisingly even the most modern offices can start to have pest problems and this can cause staff to feel uncomfortable, may also doubt the level of cleanliness of the building. Unfortunately sometimes having pest problems may even cause financial losses due to damages particularly electrical wires; this is why it is important to find the best pest prevention to help save you money in the long run. Our Milton Keynes team are very knowledgeable in understanding audit services and detailed management information. We will work together with you to provide all the right reports for your premises including any extensive legislative documentation. We will visit your premises to give you an accurate quote and will take into consideration hard to reach areas and obstructions. We work closely with our customers to ensure that they are completely satisfied with our services and giving you complete peace of mind. If you would like to get a quote for your pest control services in Milton Keynes or would like to discuss prevention solutions call us today on 01525 500 100.